I recently acquired a Commodore 128. 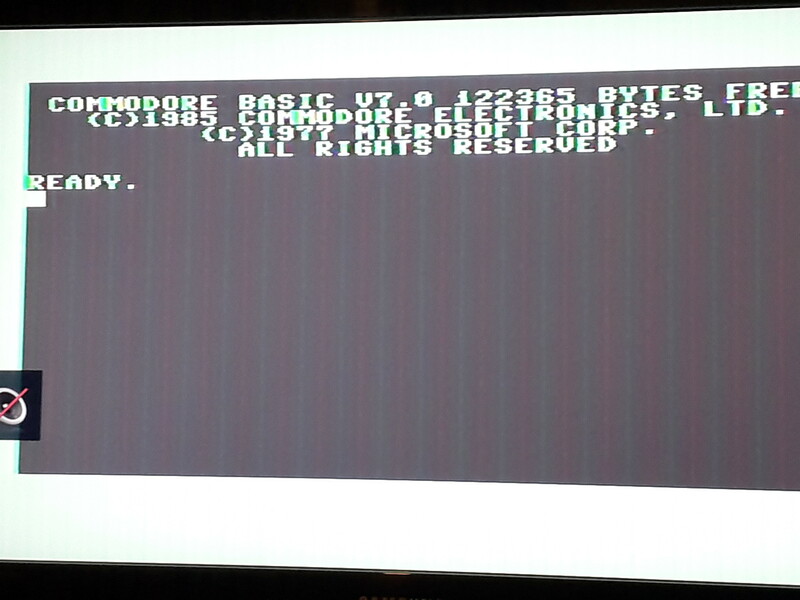 It worked fine for about an hour, in both C64 and C128 mode, at the exception of some coloured bars, before displaying garbage and not booting anymore into any mode, displaying very faint dark blue columns. The failure event wass initiated when I took the fully-assembled computer off the desk and on my lap. Here is a picture of the coloured poles, please pardon the angle, I cannot really take another one now that the unit plays dead. The garbage was dynamic in some rows, and had the habitual borders. The unit will not boot up in any mode. Typing SOUND commands into BASIC does not seem to have an effect, and LOAD does not seem to switch the motor supply either. The supply rails seem nominal, at 4.6 4.8 (kranked up my lab PSU a bit to compensate wire loss and enter +/- 5% tolerance) and 12.4 respectively. The 5 volts rail measures 175 ohms to ground in both directions. Volt drop mode displays 200 - 300 mV in both directions as well. - The character ROM is only "weakly" warm. - ROM4 and ROM1 are somewhat warmer than the other ROMs. - The MMU is not very warm either. Note : the VIC has not been tested yet, as it is under the video shield which I have not yet taken off, but the video shield itself gets warm, which indicates that the VIC is hot. 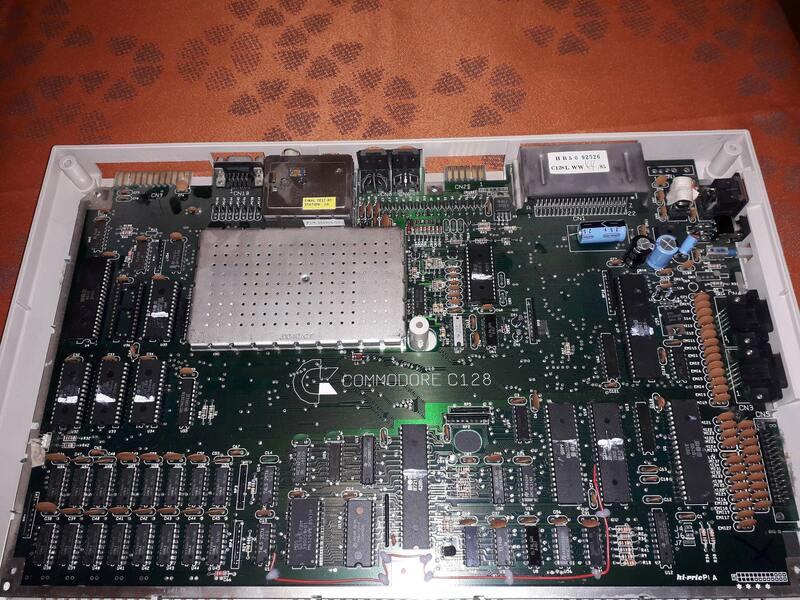 Removing ROM4, for I believe that it is not needed for a basic boot (at least some picture) does not fix the problem. While the unit worked, the datasette port did not, but that may be another problem. Dead chip: no bootup in any mode. What could explain the given symptoms ? 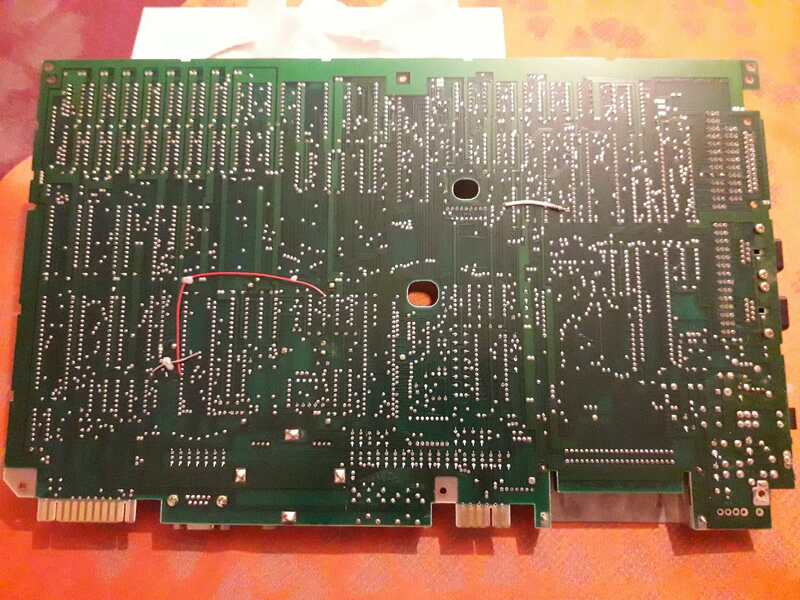 Browse other questions tagged video commodore repair commodore-128 or ask your own question.